The brand has introduced a new look for its line of what it calls “nostalgic flavors” which include Orange Cream, Chocolate Shake, Vanilla Soft Serve and Shamrock Mint. 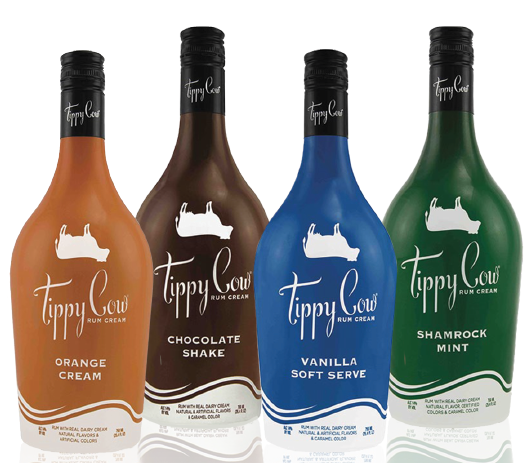 Tippy Cow Rum Cream is blended with Caribbean rum and Wisconsin dairy cream. Suggested retail for a 75Oml is $18. AVAILABLE FROM United Liquors.